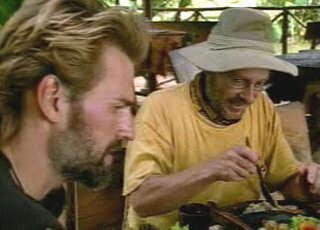 Brian Heidik was probably the coolest customer ever to play the game of Survivor. The guy was calm, he was rational, he was merciless, and he was always very steady. Brian never seemed to break a sweat, he never made a single mistake, and at times it almost seemed like he was a cyborg. After all, how else can you make it 39 days without once showing a shred of emotion? 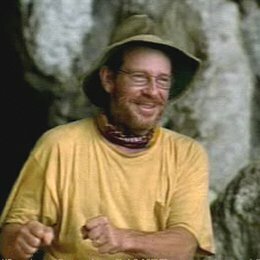 How else can you win Survivor without being the slightest bit in danger along the way? To tell you the truth... I honestly thought the guy was part robot. 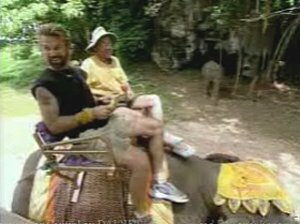 There was, however, one time during Thailand where Brian showed the faintest bit of weakness. There was actually one time where he acted and behaved like a normal human being. And it happened in episode ten, on a reward trip with Clay. Because it was on this trip that we found out Brian had a severe debilitating phobia. Brian's archrival. His Lex Luthor. That's right. Lord Brian Heidik, Mr. 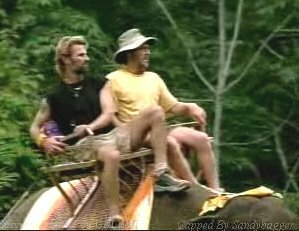 Freeze himself, was scared to death of the fact that he had to ride an elephant. 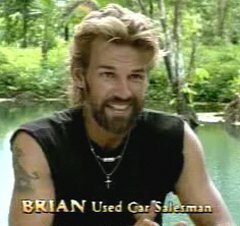 And it was the funniest thing in the world because Brian was so stable and calm under any under circumstance. It seemed like he could handle anything. 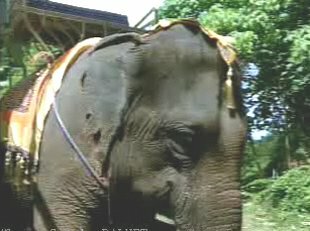 But you give the guy an elephant ride at the zoo and all of a sudden he turns into a nervous six year old. He wanted no part of being up that high, he held on for dear life, and he rode the entire way with one foot "out the door", just in case he had to jump to safety if something went wrong. Brian with Clay at the reward feast. He was still unaware of the horrors that awaited him. I'm not sure what was funnier about this moment, the fact that Mr. Freeze was scared to death of an elephant, or the fact that five-foot-tall Clay Jordan was perfectly happy and comfortable sitting next to him. Clay actually seemed to be enjoying it. In fact I believe Clay thought he was at the circus. But Brian? Not so much. Brian just wanted to get back down on the ground.